In lieu of flowers memorial donations may be made Union Hall Baptist Church and left at the funeral home. 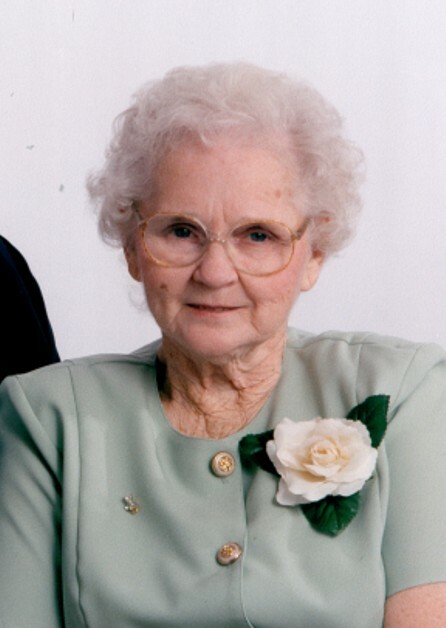 Mary Margaret (Eaton) Carson, age 83, of El Dorado Springs, MO, passed away at Mercy Hospital in Joplin, MO, after battling health problems for several years. Before Mary’s passing she asked for the hospital chaplain, Marissa, and together Mary, Patricia and Chaplain Marissa prayed Psalms together. Mary was then at peace with the Lord. Patricia, Mary’s youngest daughter, was always there for her mother, taking care of her, and staying at her side at home or at the hospital. Mary was so thankful for Patricia and told her so several times. Patricia never had a selfish moment. She lived for her mother. Mary will be deeply and dearly missed. Mary was born July 10, 1933 to Edward L. Eaton and Margaret L. (Dippo) Eaton. She was united in marriage to Charles Carson on August 12, 1950, in Independence, MO. To this union five children were born. Mary has been a member of Union Hall Baptist Church since 1987. Preceding Mary in death were her father and mother, Edward L. and Margaret L. Eaton; three brothers who passed away at an early age; five sisters: Frances Porter, Hazel Evans, Kathryn Mickey, Gertrude Maston, and Viola Langford; and two brothers: James Eaton and Bobby Eaton. Survivors include her husband, Charles Carson of the home; one son, James Carson of Lincoln, MO; four daughters: Joyce Hoffman of Windsor, MO, Vicky McKinney and husband Darrell of Independence, MO, Mary Stout and husband Steve of Peculiar, MO, and Patricia Carson of El Dorado Springs, MO; thirteen grandchildren (special mention, Jeremy Holmes and Michael Homes knew Mary as grandma and mother, she loved them as her own children); twenty-three great-grandchildren; eight great-great-grandchildren; two brothers: Joseph R. Eaton and wife Mary of El Dorado Springs, MO, and Raymond L. Eaton and wife Cathy of Springfield, MO; one sister, Betty Finely Horne of Peculiar, MO; several nieces, nephews, great-nieces and great-nephews; and many other family members and friends. Funeral services for Mary Carson will be held Saturday, February 4, 2017, at 11:00 a.m. at Union Hall Baptist Church with Pastor Don Barger officiating. Interment will follow in Clintonville Cemetery under the direction of Bland-Hackleman Funeral Home. Pallbearers are: Raymond Eaton, Darrell McKinney, Ronnie Horne, Allen Horne, Matt Kelsey, and Zachery Hines. Honorary pallbearer is John Wosoba.